It wasn’t to be for Genie Bouchard in Toronto this year. 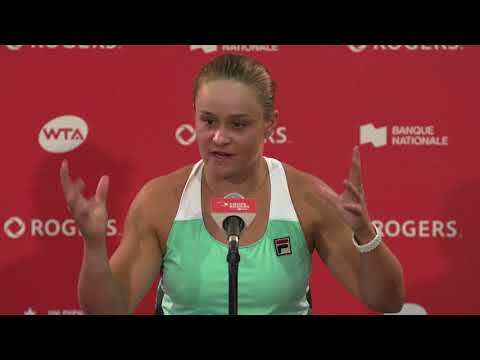 The 23-year-old Canadian was overmatched by talented Croatian qualifier Donna Vekic, ultimately surrendering a 6-3, 6-4 decision on a scorching Tuesday afternoon at the Aviva Centre. 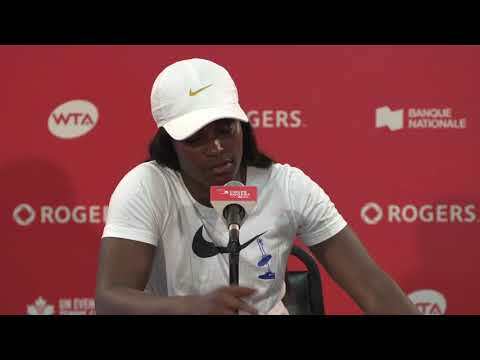 The sun wasn’t the only one generating heat on Day 4 of Rogers Cup presented by National bank as Vekic fired blazing winners off both wings in an inspired first-round performance against the Canadian favourite. However, the match was much closer than the score might suggest: Bouchard, who had hoped to be able to play some high quality tennis for her army of fans this week, was occasionally able to reign in her unforced errors and dazzle with a few hot shots of her own to keep games close. Earlier in the day, Australian talent Ashleigh Barty advanced when last week’s Citi Open semifinalist Océane Dodin retired with injury. Barty, who took a sabbatical from tennis in 2014 to pursue professional cricket back home in Queensland, has had an exceptional 2017 in both singles and doubles, reaching the French Open final with partner Casey Dellacqua and achieving a career high singles ranking of World No. 54. Cici Bellis survived a thriller with Julia Goerges on Centre Court, prevailing 4-6, 6-3, 6-2. Both players arrived in Toronto in a rich vein of form, with Bellis reaching the semifinals in Stanford and Goerges playing in last week’s Citi Open final. In the end, it was 18-year-old Bellis who appeared the fresher of the two and managed to outmanoeuvre her big-hitting German opponent in 1 hour and 53 minutes. Game, set & match: @cicibellis99 over Julia Goerges 4-6, 6-3, 6-2 in just under 2h. Court 4 saw a clash between two of this season’s Grand Slam semifinalists, but it was this year’s Wimbledon semifinalist Magdalena Rybarikova who managed to win 7-5, 6-0 over Mirjana Lucic-Baroni, who reached the final four in Melbourne. Next up for Rybarikova is World No.2 Simona Halep on Wednesday night. Elsewhere No.16 seed Elena Vesnina eased past Alison Riske 6-3, 6-3, while Caroline Garcia battled past Sorana Cirstea in a high quality affair, 6-2, 6-7(4), 6-4 on Grandstand.